سواءً كنت مسافراً بغرض السياحة أو العمل, Cape Lodge هو خيار عظيم للإقامة خلال زيارتك مارجريت ريفر واين ريجيون. يمكن من هنا للضيوف الاستمتاع بسهولة الوصول إلى كل ما تقدمه هذه المدينة النابضة بالحياة. يضفي محيط الفندق اللطيف وقربه من مصنع جعة بوتليج سحراً خاصاً على هذا الفندق. كما يقدم Cape Lodge الكثير من الخدمات لإغناء رحلتك في مارجريت ريفر واين ريجيون. هذه بعض الخدمات الموجودة في هذا الفندق: واي فاي مجاني في جميع الغرف, واي فاي في المناطق العامة, خدمة صف السيارات, صف السيارات, خدمة الغرف. يمكن للنزلاء الاختيار من ضمن مجموعة من الغرف المصممة بعناية لتعكس جواً من الراحة، والتي يتجاوز عددها 22. يقدم الفندق العديد من الفرص للاستجمام كمثل حمام سباحة خارجي, سبا, تدليك, ملعب تنس, حديقة. يحظى فندق Cape Lodge بموقع ممتاز وخدمات يصعب منافستها. جميع معاملات البطاقة الإئتمانية ستتحمل 1.6% أجر إضافي. Just a lovely place. We had the standard garden suite and it was nice enough (No bathtub but still good sized room). The grounds are beautiful and the food is the highlight here. Excellent breakfast where there is a continental breakfast bar with ala carte to order off a menu. Dinner and drinks at the bar or restaurant are fantastic. We played boardgames in the bar whilst having complimentary drinks with dinner Highly recommend, not a particularly young demographic here however. At 37 & 42, we were easily the youngest there. 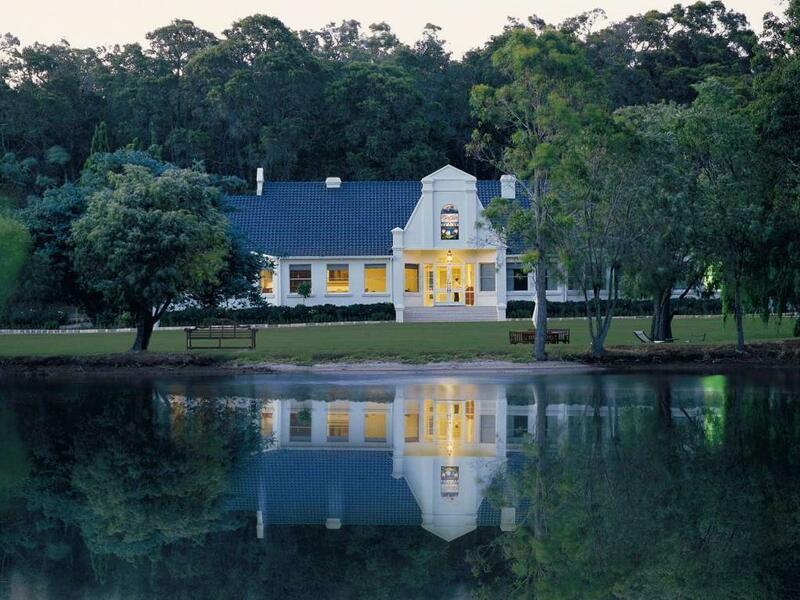 Situated off the main Margaret River area was this delightful retreat. Spacious room with comfy bed, large ensuite. Lovely garden views. Restaurant overlooking the lake served amazing food locally grown... some at the back of the property. Staff very obliging. Soft drinks provided by the pool (self-serve! )One of the highlights was afternoon tea and home made cake served in the garden under the trees. Would thoroughly recommend. Disappointed that the view was blocked by the hedges. We couldn't sit outside to enjoy the view due to the hedges. From providing wrong info to getting our reservation wrong then bedsheet wasn’t changed. You name it. Magical place- best accommodation we’ve experienced in Australia! great location, good breakfasts, fantastic room. Would definitely recommend. Staff were brilliant. Location is brilliant. Everything about this place is brilliant. My only recommendation is that the room needs more colour. It's a bit too clinical for my liking. For example, a rug under the sofa setting plus a few wall hangings is all it needs. Same with the bathroom. There is a very calm atmosphere and the surroundings are beautiful. The restaurant and service is top class. the room is spacious, clean and in good condition. Remember to try their great restaurant! they presented the food like Art, but eatable! Thx for the team! The lake view was awesome. Love the heated bars to warm the towel and our clothes in the cold weather. Special mention to restaurant manager, Charles & Fairoz. Excellent service. Good recommendation of wine. We will def. try to make a trip back. I’m also very happy that we can request for breakfast to be send to the bedroom instead so that we can enjoy the view of our room. That was a nice personal touch. I understand this to be a high end hotel and on this basis I would say that on a value for money basis It was perhaps more than I would ordinarily consider to pay. That said, the staff were brilliant - attentive, helpful, highly engaged and always willing to help or advise on what to do or where to visit. The extensive cellar was well stocked and had a cross section of wines to suit all pockets. The location is delightful, secluded and ideal for a few days away from the madding crowd. The food was delicious and appropriately portioned. The Room was large, had a lovely view over the lake and was comfortably appointed. The frogs of which there seem to be many maybe more obvious to light sleepers. Overall we had a very enjoyable stay and on another special occasion would consider staying there again. Very neat, clean and comfortable, ideal for a long weekend break. Lunch and dinner which was included in the deal, was excellent. The location is perfect and the staff were both warm and helpful - but the property is in need of a major refurbishment. At $630.00 per night you are entitled to expect 5 star everything. But that wasn't the case at all - the rooms are tired with only basic melamine cupboards - the shower pressure is low - there are only basic TV channels with no international news channels. There is no nightly room turn down service. 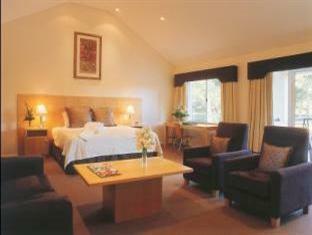 We had two nights in a 5 star property in Perth a few days before we went to Cape Lodge - it cost $200.00 per night less. We had to leave early for personal reasons and so we had two nights there - but I would expect a property that charges like the Marina Bay Sands in Singapore to provide a product that is similar. Unfortunately this property did not and seemed to rest on an old, and I think outdated, reputation. This hotel is perfect for a special occasion or romantic getaway. Gorgeous grounds, beautiful rooms and fantastic restaurant. It was crappy weather and it did not matter at all, what a beautiful relaxing stay. Amazing food, delightful service, cosy spacious suites, underfloor bathroom heating and plenty of reasons to stay in if you don't feel like venturing out. The restaurant is really high calibre. We stayed at Cape Lodge for 4 nights and love every minutes of it. I booked for a garden room but was told on arrival that we have been upgraded to one of the premium lake suite. When we walked into the room there were balloons with 'Happy birthday' on the bed which is a nice touch as the trip was for my husband's birthday. The room was specious and fresh. Sitting out on the terrace with a drink overlooking the lake was very relaxing. It didn't stop there, when we went to dinner we were greeted with enthusiasm and everyone seems to know that we were there to celebrate a birthday. Beautiful champagne were served complimentary. The food was very nice and the service was impeccable. 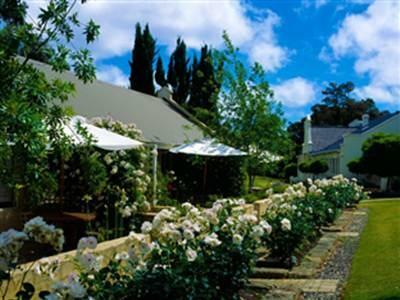 We have decided that Cape Lodge will now be our escape destination when we need to run away from all the fuss in the city. Why go overseas when we can go to Cape Lodge. We enjoyed our stay, large bed, large room, separate bathroom and separate toilet with a balcony (with table and chairs) overlooking a lake. We took a special offer on booking which included half board, that is breakfast and evening dinner, drinks extra. The meals were creative, delicious and uniquely different with plenty of choices. It is close to wineries and restaurants, but we enjoyed the food at Cape Lodge so much that we didn't have much apetite for large lunches. 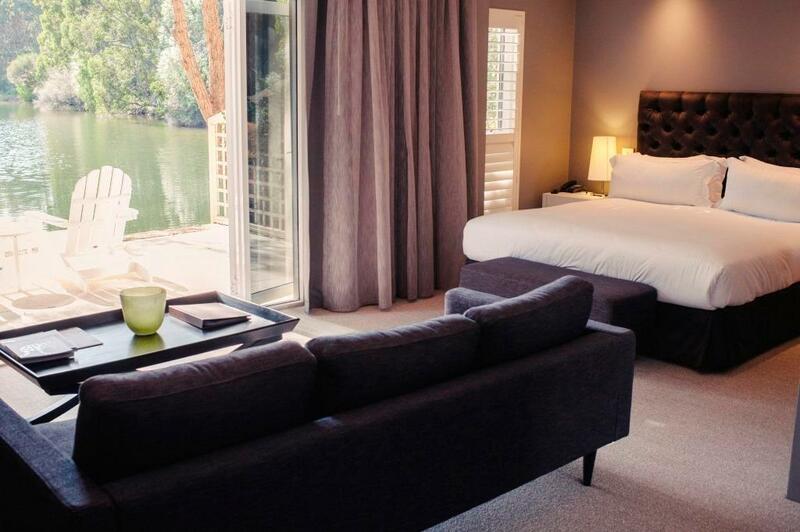 We would thoroughly recommend Cape Lodge for a three or four day stay as we had.